Below is an archive of all technical data sheets and documents for your informationn and educational purposes. Learn our processes, download product manuals and more. Can't find something? Email us and let us know what we're missing and we'll get it added! 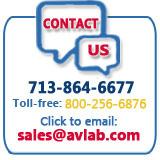 Parts Capabilities Find AvLab product/service solutions for your engine/aircraft. Click here for our list of available Solutions Sheets.